Go global with the multiservice OPTera Connect DX platform from Nortel. This data-optimized cross-connect network solution supports next-gen networks looking to provide carrier-grade delivery of high-capacity data services, even as you move through a variety of systems and deployments. Tame POPs and junction sites with the Nortel Connect DX platform designed to deliver marketing-leading 10 Gbps performance. Refurbished Nortel OPTera Connect DX systems provide consolidation capabilities to shift from multi-node to single node configurations that scale with up to 9216 STS-1 ports from just four bays. When you need a narrow footprint, but most support large, integrated networks with centralized management, a used Nortel OPTera Connect DX provides you with control at a lower lifecycle cost and long-term efficiency gains. 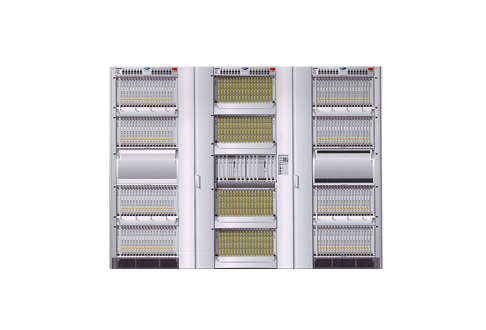 Used and refurbished Nortel OPTera Connect DX units from Worldwide Supply are designed to improve your network performance with as much as 50% equipment savings and 69% space savings, on top of power savings exceeding 60% in most situations. Your network can also cut costs based on overall capital expenditures thanks to consolidation options of moving to a single node. Integrated DWDM interface capabilities allow you to reduce or remove other equipment focused on adaptations of other wavelengths. Non-blocking switch fabric also allows you to deliver a wide range of flexible deployments with minimal needs for any external systems or equipment, such as cross-connect platforms. You can scale as you need it, and Worldwide Supply will ensure you have equipment that is up to OEM standards and can enhance your network for years to come.